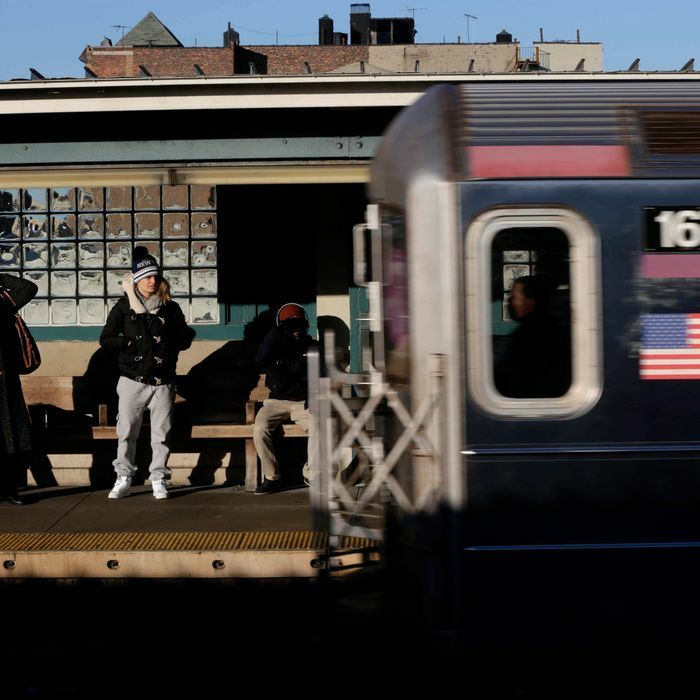 The Metropolitan Transportation Authority is on pace to set a grim new mark. If the current trend holds, more people will die along the rail and subway authority’s thousands of miles of tracks in 2013 than in any year going back to at least 2008. The number of people fatally hit by New York City subway, Long Island Railroad, and Metro North trains reached 65 at the end of August, putting the system on pace for a total of 98 fatalities by the end of the year. Statistics supplied by the MTA to Daily Intelligencer show that the majority of those deaths are suicides — a change from last year. Through August, 40 people intentionally put themselves in front of MTA trains, surpassing in eight months the 2012 tally of 36 suicides system-wide. A total of 84 people died on the tracks in 2012, making it the deadliest full year in the last five. But most of those deaths were accidents. The authority does not agree that the recent uptick in fatalities represents a meaningful development. “So far, this year seems to be falling within the range of normal year-to-year variability. I would hesitate to call it a trend,” MTA spokesman Aaron Donovan wrote in an e-mail. One possibility is that the increase has been driven by intense media attention given to two incidents late last year in which people were pushed onto subway tracks and died. 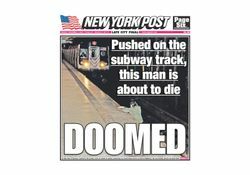 The New York Post splashed a dramatic photo of one victim seconds before death across its front page. A 2008 Columbia study found decreasing media coverage was an effective way to bring down the number of subway suicides. If the reverse is also true, then a barrage of coverage might spur them. The MTA only began keeping comprehensive statistics on suicides in 2010. Authority investigators examine deaths on commuter rail tracks and the NYPD does the same for subway fatalities, but some cases remain permanently unresolved. As one forensic pathologist explained, retrospectively determining the intentions of a person who was hit by a train is an imprecise science. “For people riding aboard trains, rail travel is as safe as transportation gets,” Donovan said. But despite many safety measures, the MTA can’t prevent a determined trespasser from making his or her way onto the tracks. The LIRR has recently made an effort to fence off dangerous trespassing spots. And the MTA is in the process of installing help-point intercoms at subway stations that will allow passengers to alert train controllers of an emergency. But other solutions, such as barriers along platform edges, have proved too costly for the system. Earlier this year, the union representing the subway’s motormen urged its members to slow down before they rolled into stations. They touted the move as a safety measure to avoid hitting people on the tracks. But to the MTA it looked suspiciously like a work stoppage, and the authority didn’t endorse the move. The track deaths often have dramatic consequences for the men and women driving MTA trains. When an LIRR engineer sees a collision is imminent, he or she throws the train into a setting called “emergency” — essentially a full-service application of the brakes, said Michael Quinn, the general chairman for the Brotherhood of Locomotive Engineers and Trainmen division 269, which represents LIRR engineers. But apart from blowing the horn, there’s not much else the engineer can do after the train is in the emergency setting. To avoid witnessing the carnage, many get out of the driver’s seat and even the driver’s compartment.